Check out this shot taken in the morning sun at Valhalla Powdercats. 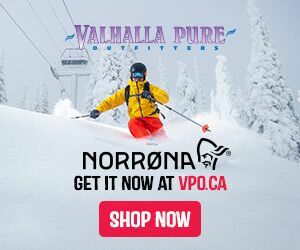 Our resident photographer Geoff Holman has been published again with this amazing shot from Valhalla Powdercats! This picture was taken in the morning light on our first run of the day at Valhalla. Skier Adam Benson found the light perfectly as he boosted of one of the many terrain features to be found at Valhalla Powdercats. We all remember this day well. It was day two of our trip, about 20cms of fresh snow had fallen and the sun made an appearance for the first few runs. We were the only returning skiers that day so we got to sneak in an extra run while the rest of the group did their safety training. It was a morning that is totally encapsulated in this shot. We can't wait to see what is waiting for us in Valhalla this season. Pay just $99 and reserve your 3 days of powder! Something new from Big Red Catskiing this season is the Powder Guarantee. The idea is that you choose your 3 days, pay a deposit of $99 now and if the snow isn't awesome, you don't pay the rest. The $99 is non-refundable but it does carry over as a credit with the fine folks at BRC. So the risk is minimal and the reward is likely plenty of powder! Salomon Freeski TV Season 9 Trailer is Out NOW! These trailers are always a signal in that the ever-shortening, cool evenings of summer are finally bringing ski season. Mike Douglas and the Salomon Freeski TV crew have up'd their game once again with their season 9 trailer. Plus some warm woolies from Icebreaker Merino! Enter today for your chance to win a prize worth over $10,000! 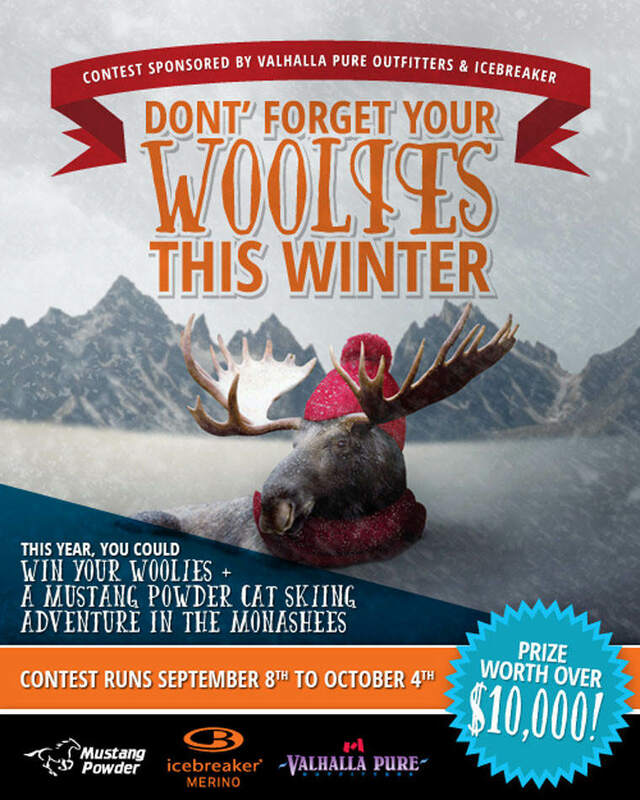 The winner will get to experience a 4-day cat skiing adventure for 2 in the Monashee Mountains with Mustang Powder and will also receive 2 Icebreaker Next-to-Skin layering kits. The contest runs Sept 8th until Oct 4th. In the sometimes surreal world of high-octane action sports, there seems to be a continual upping of the ante. For sheer absurd entertainment value, there is little that compares to the newish sport of wing-suit flying. These slightly “off kilter” athletes jump out of a helicopter or off a cliff, fly with their specially designed wing-suits and engage a small parachute when close to a landing zone. With little room for error, these stuntmen have not only been pushing the boundaries, but annihilating them. 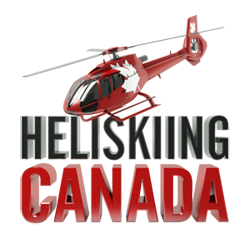 In April of 2015, Island Lake Catskiing invited some of the top wing- flyers in the world to come up for some post ski season fun. The 5 KAVU and GoPro Team athletes of Marshall Miller, Jesse Hall, Neil Amonson, Jeff Shapiro, Hartman Rector, came up and blew minds with their flying. After a few rounds the “flyers” became more comfortable and buzzed Papa Bear Peak, flying about 10 feet off the summit. Hartman Rector, whom has a reputation for pushing the envelope a little further, not only buzzed the big peak, but also did a cork screw (360 rotation) trick in mid flight – a truly impressive sight. Though on the surface these athletes seem a bit reckless and crazy, the fact is that everything they do is highly calculated and planned. Close proximity flying is premeditated and every detail thought through, as the consequences are high. Watch for a full segment in the new Island Lake TV show next year. This Trailer Should Get Your Heart Pumping! Maybe it is all the espresso I have had to get going on a Monday morning or maybe it is that this trailer is just that thrilling. I can't wait to see this film in its entirety this Fall. The steepness and gnarliness of this trailer really get s guy going! How long till winter? If you have experienced catskiing in seasons past, you will know that there are a few key things that make the day incredible. Of course powder and weather are a given. Awesome guiding is another. But one of the things that makes you get the most pow in a day is a well thought out road system. 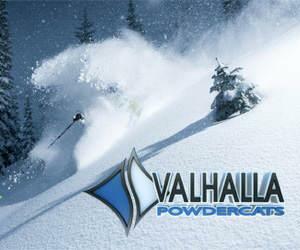 The folks at Valhalla Powdercats take this very seriously. The most important is the new roads we are building in the Valhalla tenure- allowing us to have two different exit zone at the end of the day. 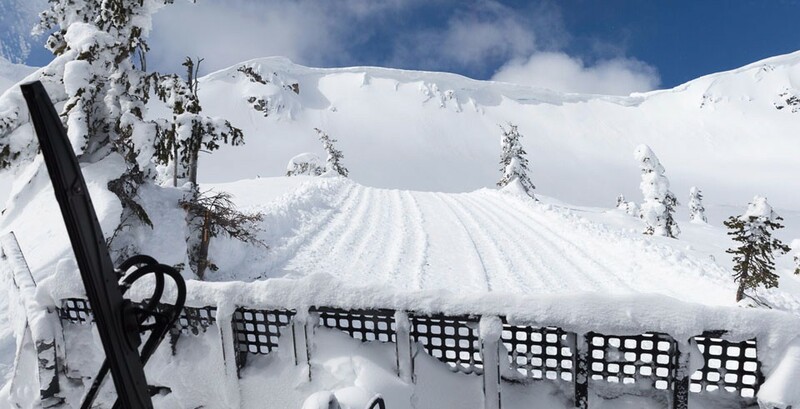 Previously you all skied out Huckleberry - we can now ski out Lost Bowl which will be an astounding difference to the ski program, as well as open up some stupendous old growth north face skiing! We can all hardly wait to go in there and shred some pow! We can hardly wait too! Word is that their bookings are filling up but there is still some room in January and March. "Just give me snow and I'll be happy"
That pretty much sums it up. Enjoy the trailer for what looks like a great flick. 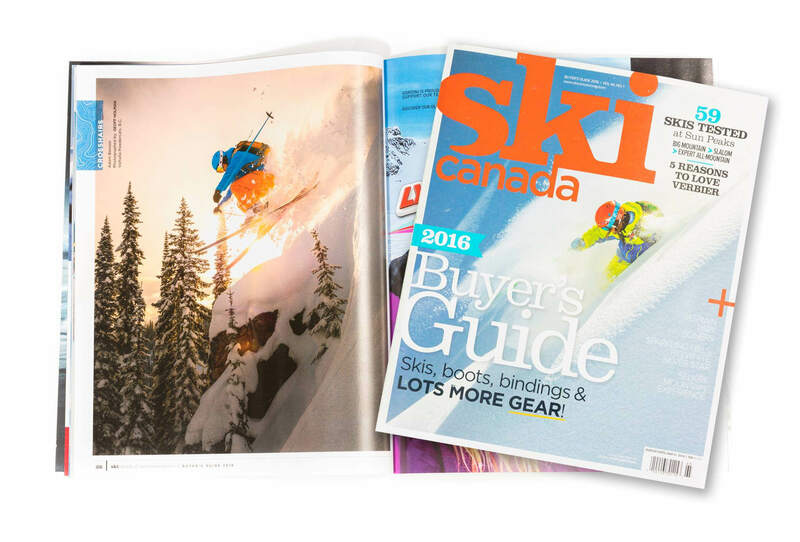 Skevik Skis has done it again. They have released a graphic for the 2015/2016 ski season that throws back to the days of Windows 95 with a killer representation of the PC game Ski Free. The all new Sheske graphic has captured this game in all its glory complete with the infamous Yeti. We are big fans of Skevik Skis and are stoked to see these skis in real life. Also new for 2015/2016 is a wider 122mm Anton model. We're pumped about that too!